Our private ski lessons and private snowboard lessons are bespoke tuition tailored perfectly to you. At ZigZag, we handpick our team from a pool of the most highly qualified instructors in the world. ZigZag’s English speaking instructors will help you achieve your goals as quickly and simply as possible, whatever your level of ability. In private ski lessons, you’ll enjoy the full attention of an English speaking instructor who will develop your strengths and focus on improving your weaknesses. With private ski lessons or snowboard coaching, first timers, intermediates and experts alike will progress rapidly with 100% of their instructor’s attention. You might like to work on improving your parallel or ski with more fluidity and elegance, or perhaps you’d like to troubleshoot a bad habit you can’t seem to shake. It might feel like the right time to improve confidence over steep, narrow or icy terrain. Simply let your instructor know if you have a specific lesson goal, or let your instructor watch you ski and you’ll be offered suggestions on where and how you can improve your technique. ZigZag instructors also have lift queue priority, so you get to jump the queue during your lesson time. We recommend you book in advance for private ski lessons and private snowboard lessons, especially if you want to request a specific instructor. Confidence boosting is one of our specialties and with a supportive approach, timid or first-time skiers will be gently challenged to achieve things they didn’t realise they were capable of. In private ski lessons, advanced skiers will thrive under the challenges presented by our elite trainers, who’ll push you to technically develop precision skills on and off piste. If you’ve skied for years, private ski lessons will improve your style and modernise your technique, which may have become a bit rusty! 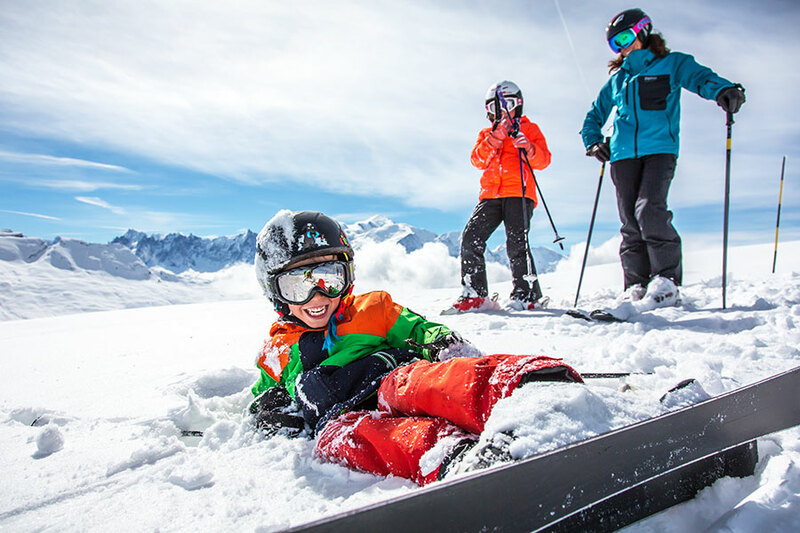 Private family lessons are also great fun for parents who’d like to ski with their children. We generally run three sessions per day, but hours are flexible and scheduled according to demand, so get in fast to reserve your preferred hours or to request a specific instructor. Private ski lessons are priced according to the number of people taking part, starting at 55€/hr. Our “Super Value” afternoon sessions offer especially great value for money!